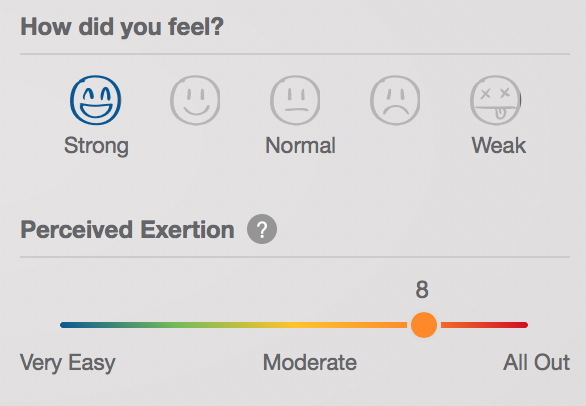 As you may have seen, TrainingPeaks recently launched a subjective feedback feature that allows you to provide information about ‘how you felt’ and ‘how hard you worked’ (known as rating of perceived exertion) during your training session. From my perspective, as a coach, distance runner and PhD student, this feature has made a positive difference to my experience as a TrainingPeaks user. It provides a simple way to record how your training is going, while allowing your coach to assess how you are coping with their prescribed workouts. However, for those athletes like me who cannot resist digging a little deeper into their performance, I would like to show you how it is possible to add an extra layer of detail to your workouts by using Session Rating of Perceived Exertion as a measure of Internal Training Load. What is Internal Training Load? Training load is categorized as either internal or external. Put simply, Internal Training Load (ITL) measures the relative physiological and psychological stress an athlete endures throughout their training session, while External Training Load (ETL) refers to the total amount of work that an athlete completes during their training session. A practical example of ETL is the Training Stress Score (TSS) system used by TrainingPeaks. The problem is that ETL is relatively simple to measure (e.g. 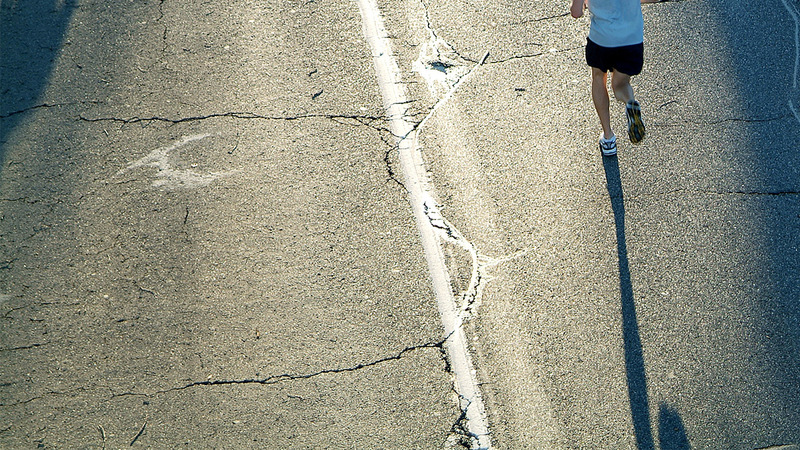 total distance covered), while ITL can be more difficult to quantify—and both are equally important when it comes to improving fitness and preventing negative training outcomes. Traditionally, ITL has been measured using heart rate, and while this is generally viewed as the gold standard, it is often impractical given the cost of accurate telemetric heart rate monitors and the need for technical expertise. As a result, Session Rating of Perceived Exertion (sRPE) has been established as an effective measure of ITL across many different sports. In fact, as part of the Children’s Health and Exercise Research Centre (CHERC), University of Exeter, I have recently published a paper that examined the validity of sRPE for measuring ITL in adolescent distance runners. The TrainingPeaks exertion scale handily translates an athlete’s perception of effort (from ‘very easy’ to ‘all out’) into a numerical score. Note that this should be recorded around thirty minutes after completing the training session. However, if you include a cool-down as part of your training session, recording your perceived exertion before the thirty minutes has passed is acceptable—just try not to take any longer! As an example, imagine that you have just completed a 30/60/90 Run Workout, including 5 x 30s/60s/90s reps (equal recovery). In total, this session lasts for sixty minutes. Following this training session, you decide to record a perceived exertion of 7 (‘very hard’). Therefore, all you need to do is multiply 60 by 7, giving you a sRPE of 420. This number is recorded as an arbitrary unit (AU). The higher the AU, the more relative physiological and psychological stress an athlete has endured during their training session. When recorded on a daily basis, a weekly sRPE score can be calculated by adding all of the individual sRPE scores together. Why Use Session Rating of Perceived Exertion to Measure Internal Training Load? Similar to a Training Stress Score, the primary use of sRPE is to provide an athlete with an overview of how their training load changes over time, especially if they don’t have access to the heart rate and power tools they might need to calculate their exact TSS. If an athlete is tracking both ITL and ETL, then they should more or less mirror each other—when they diverge it can be an early sign of trouble. For example, if an athlete feels like they’re working hard (has a high sRPE) but their TSS is low, it could mean that they’re getting sick or overtrained. When using this measure of ITL regularly with ETL, the athlete and coach can evaluate progress, plan tapers, and even help prevent injury. Robert Mann is currently a PhD student at the Children’s Health and Exercise Research Centre, University of Exeter (UK). His PhD is focused on the training practices, injury experiences and identity of adolescent distance runners (13 to 18 years old), in collaboration with England Athletics. 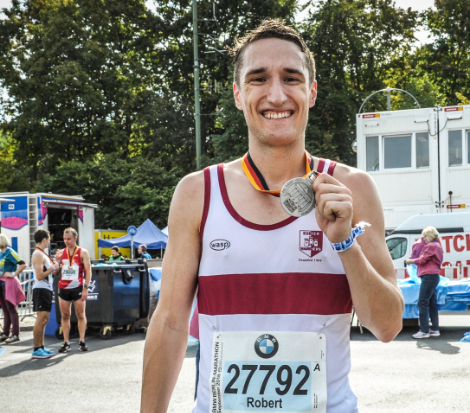 Alongside his research, Robert is both a competitive Marathoner, having recently run 2:29.03 in Berlin (2018), and a fully-qualified Athletics Coach. On a freelance basis, Robert provides 1-to-1 coaching via Wild Running (https://www.wildrunning.co.uk).